Above are photos of a new species of Vaejovis. The left photo is a gravid adult female, the right pic is an adult male. 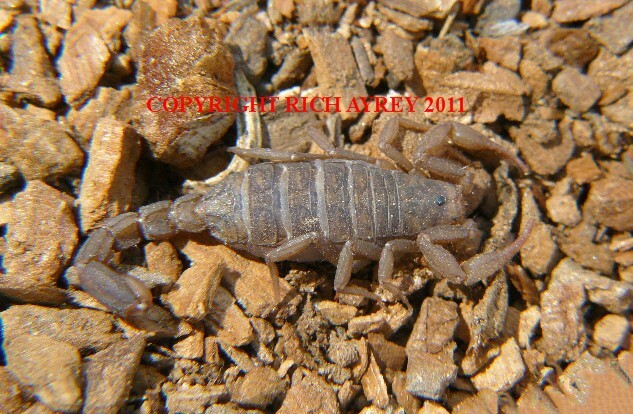 These Arizona Scorpion pics were taken on Mount Graham, Pinaleno Mountains, a Sky Island in Southern, Arizona. Vaejovis electrum is related to Vaejovis vorhiesi and Vaejovis deboerae but is a distinct species. This Flagstaff Arizona Scorpion site © Rich Ayrey 2009 - 2017. 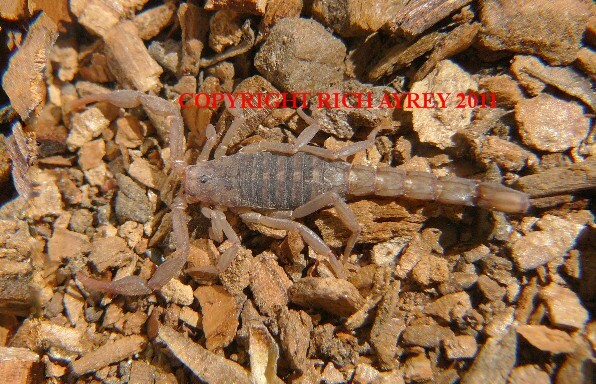 Arizona Scorpion World page created 12/18/2011. Arizona Scorpion World page last updated 01/29/2017.